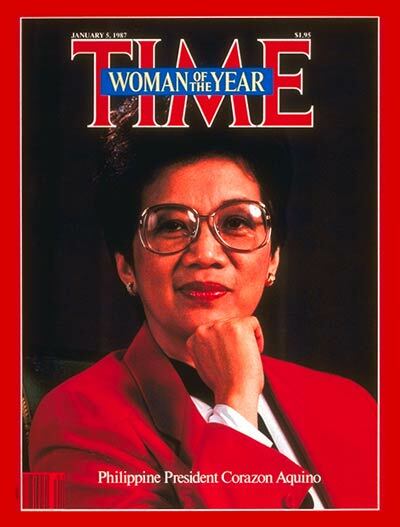 Before I explain the title, I have just read that former Philippine President Corazon Aquino has died of cancer. May the woman who brought democracy back to the Philippines rest in peace at last. I remember well the non-violent revolution that toppled the Marcos dictatorship, and how the Aquino presidency (1986-92) gave the country a chance to start over again. Also, Leive was in Manila, waiting for her passport & visa, when the revolution took place, because we had gotten married three months earlier. Click on the next link to read more of what I wrote about the “People Power” revolution. And now on to the topic. Our current president definitely has a problem remembering the facts, when it comes to geography and history. I gave some examples in previous messages, like when he claimed to have visited “57 states” and when he thought “Austrian” was a language. I also could have mentioned others; the one where he mentioned that America is one of the largest Moslem countries was a doozy. So was the case where he claimed that, “And since our founding, American Muslims have enriched the United States.” Well, aside from the time when our navy fought the Barbary Pirates, I can’t think of any role Islam played in American history, before the founding of the Black Muslim movement. As a historian, I probably should have kept track of such gaffes. I didn’t for two reasons: (1) others are doing it already, and (2) picking on Joe Biden is more fun, because when it comes to putting one’s foot in his mouth, the vice president is the gift that keeps on giving! Obama praised Arroyo for her efforts to fight terrorism, and her help in dealing with the problems of Burma and North Korea. He noted the Philippines is hosting a conference next year on nuclear non-proliferation. “We’re going to have a busy agenda together,” Obama said. Ahem. The Philippines is the 12th largest country in the world. It is larger in population than France, Germany, Egypt, Italy, Canada & the UK. It also covers a vast area of the western Pacific including more than 7,000 islands. Could someone tell me why Obama is now insulting the Philippines? Oh that’s right — they’re an ally. Nevertheless, I doubt that the proud Pinoy community enjoys the condescension. Unquote: I heard elsewhere that if current demographic trends continue, the Philippines will have more people than Japan or Russia by 2025. Small country indeed! Well, it could have been worse. If Mr. Obama knew that we fought a dirty Vietnam-like war in the Philippines at the beginning of the twentieth century, or that those islands were under American rule for almost fifty years, he’d be apologizing for his nation’s history again. It must have rained pretty heavy last night, though I slept through it. In the morning there was some flooding along the country roads I usually take to work. The drainage system there is good enough to let most of the water pass under the road, in places where it had to cross, but at one point a torrent crossed over the road; I made quite a splash when I drove into that! In the afternoon the sky cleared up and the water dried up, so I had no trouble going home. Likewise, the rain clouds moved south quickly enough to avoid being a challenge for Lindy and Adam. They left here around 9 AM, and arrived safely at their north Georgia stop some time in the afternoon. So far, so good. Like I said before, I hope to learn the rules for KY weather some day, if Kentucky has such rules. This is Tisha B’Av, the 9th of Av on the Jewish calendar. Normally I would have talked about that, but we’ve been busy entertaining Lindy and Adam while they are in Lexington, so go to my message from July 24, 2007, to read about Tisha B’Av. Family members and friends reading this will probably be more interested in our current activities. If you’re not a relative, read my Cast List page first, to keep track of who’s who. On Wednesday Leive, Adam, Lindy and Rezia did a bit of shopping in the nearest stores, and after I got home from work, we went to Leive’s favorite Chinese restaurant to give her a belated birthday celebration. Then I drove them around to see the community, first going downtown to UK, and then heading out of town to cruise around the horse farms near my workplace. Finally they went over to Gene & Rezia’s place, and came back after I went to bed. The bad news is that when I woke up this morning, I found the outside light off and the kitchen light on. Poor Brin-Brin; even though we cover the parrot cage at night, enough light must have gotten in to give him a rude awakening. He certainly was in a snappy mood the next time he saw Adam. Lindy & Adam on a park bench. You knew I was going to get an up-to-date picture of them, right? Leive by her favorite tree. She called this a “walking tree,” though I’m not sure what she meant by that. It looks like an oak to me. And here’s Lindy by the same tree. Rezia found a flower bed with enough orange to match her shirt. This evening we were wondering what to do next, when Leive suddenly got the urge to go bowling. She certainly wasn’t that way when I went to the nearest bowling alley, two weeks ago! So we went to the alley and played one game; Adam won with a score of 85. Sure, we all could have done better, but everyone had fun and that’s what counts. Sometime tomorrow, Adam and Lindy will be hitting the road. They plan on stopping at a friend’s house near Atlanta, so they won’t get back to Portal, GA, until Saturday. Have a safe trip, both of you, and I’m glad you enjoyed your stay! What a Cool Heat Wave! Because August is the hottest month of the year in Kentucky, one would expect the hottest day of July to be near the end of that month. Well, the weatherman predicted that for today, with a high of 87. Instead, an overcast sky kept it from getting above the low 80s. And for the whole month, only on half the days has the temperature gotten above 80 degrees. What a difference compared with the scorching days they are getting to the south of here, in states like Georgia and Florida. We have told Lindy and Adam that this isn’t a normal Kentucky summer. Speaking of our daughter and her husband, they’re enjoying their vacation in our house. Leive cooked pancakes for them yesterday, and two batches of pasta today, to remind them of the goodies they have missed since they got married and moved away from us. This evening Lindy attended the ladies’ church group in our house, while I took Adam to the men’s group. Tomorrow we plan to have a belated celebration of Leive’s birthday at her favorite restaurant, and then I’ll take them around to see some of the sights in the area. Locally, the current main news isn’t sports, like you’d expect, after all the examples I’ve given of that in the past. It isn’t even politics, and today we learned that US Senator Jim Bunning won’t be running for re-election next year, because he’s having trouble raising enough campaign funds. It’s downtown traffic; at least, that’s what they’re talking the most about on the radio. Last week, a portion of Limestone Street, our main north-south road through the middle of Lexington, was closed for repairs, and it’s expected to take eleven months. The closed part in question is the stretch between the University of Kentucky and the county government buildings, though I think the part that runs past UK is still open. There are a lot of little restaurants and other shops in the area, and they’re complaining about how this will hurt business. Because a judge refused to halt the project last Friday, they are now looking for ways to keep the customers willing to walk the extra yards needed to get past the torn-up areas and come in. So far the best idea I’ve heard came from a sandwich shop, that is offering a 10% discount on their food if you bring in a receipt from another business in the area; that will encourage the customers to patronize at least two businesses on each visit. That’s all for now. Good night, and expect more news from me tomorrow. Before I begin, I will announce that Lindy and Adam arrived here in Lexington at 8:30 this evening. I’ll probably take some pictures of them later in the week. Now on to the main event. Yesterday my church had its annual summertime picnic, called “Family Fun Night.” In years past it took place at the end of June; this time it was moved back a month, from reasons I don’t know. In the sanctuary, tables and balloons took the place of chairs in rows. The screen stayed up, though, because later on we watched a Veggie Tales video, “Minnesota Cuke and the Search for Noah’s Umbrella,” instead of hearing the usual sermon. The chow line, seen from the beginning. My in-law Gene King is at the right. The main courses were hamburgers and hot dogs, grilled outside. Don’t be put off by the small amounts you see here; I was one of the last in line, and they had enough food for everybody. They even had a few of Leive’s lumpias (Philippine egg rolls) left over, and normally they don’t last. In the middle of the table were side dishes that offered something for everybody. On the far end of the table we put Leive’s dishes, yellow rice and the previously mentioned lumpias. I believe the green succotash on the left was Rezia’s contribution; she has made that before. The desserts (brownies, cookies and cake) were on a second table, and drinks were on a third. After we ate, we had the annual water balloon toss. This time Gene didn’t win it; after three years in a row, the champion has finally been dethroned! The rules are simple: people line up in pairs and toss water balloons to their partners in a game of catch. But after each throw, they have to back up one step. When a balloon breaks, the team owning it is out. Here I am in my Florida T-shirt, facing my partner, Achan Pappy. At least this time I lasted until the semifinals. Now the competition is getting hot and heavy. You can see Rezia in the middle of this picture, and to the left of her is Terry Cherry, a friend I’ve mentioned in this blog before. And here are the finalists. Those in the near row, from left to right, are Joe Cherry, Chris Hoke, and Heather Cherry. In the far row are Shawn & Mike Hoke, and Terry Cherry again. It took quite a while for two of these pairs to drop a balloon. In the end Joe and Shawn won, not a total surprise since Joe won the second game, when we went bowling a week earlier. After that came the video and drawings for prizes to give to the kids. When that was done we cleaned up, rearranged the chairs and tables because another church owns the building, and went home feeling it was a job well done. I hope your weekend was as pleasant! 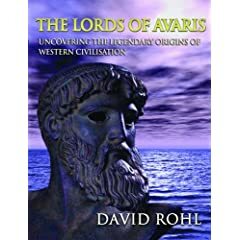 David Rohl’s special TV program ‘Pharaohs & Kings: A Biblical Quest’ was remastered & re-released last September, and there are now very few copies left. Folks have been asking me for 2 years when these would be released. There are NO plans to continue to reorder at this point. 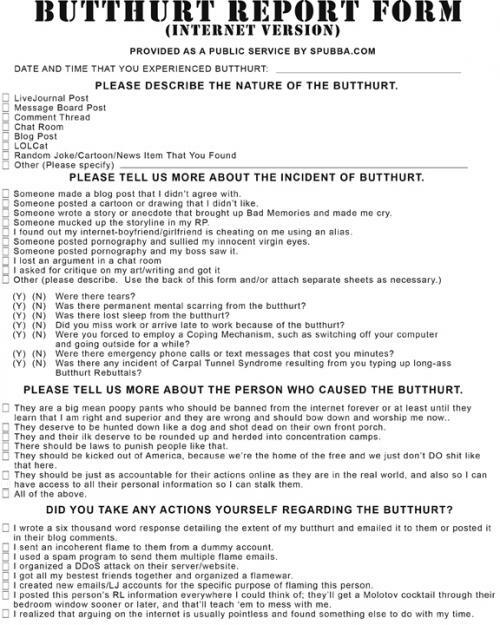 I recently found a form to report those who have offended you. This applies to online situations in forums, chat rooms, e-mail correspondence, and maybe even networking sites like MySpace and Facebook. As a public service, I am reposting it here. If you think somebody has violated the rules of Netiquette, click on the link below to download the form (it will pop up in a new tab or window), print it out and check the appropriate boxes. Now all I have to do is find an address to send it to, either the e-mail or the “snail mail” kind.